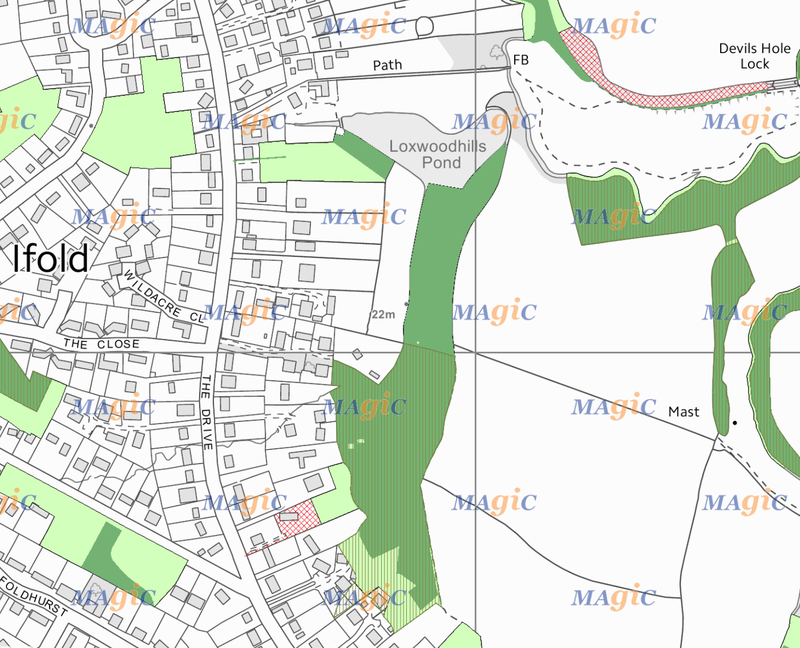 LGSi1 – Loxwoodhills Pond, The Drive, Ifold (excluding the residential curtilage of the house and adjacent stables) including WSCC Public Right of Way (Path Number: 624_1). This public footpath is the gateway to other bridleways and forms the predominant route residents use to walk to facilities and services in the village of Loxwood. Outside the Ifold Settlement Boundary, this area is also proposed for designation because of its particular local and historical importance. It is the fishing and ornamental lake within the parkland of the former Ifold Estate and its manor house – Ifold House (c1812 – 1936), which gives the settlement of Ifold its name. 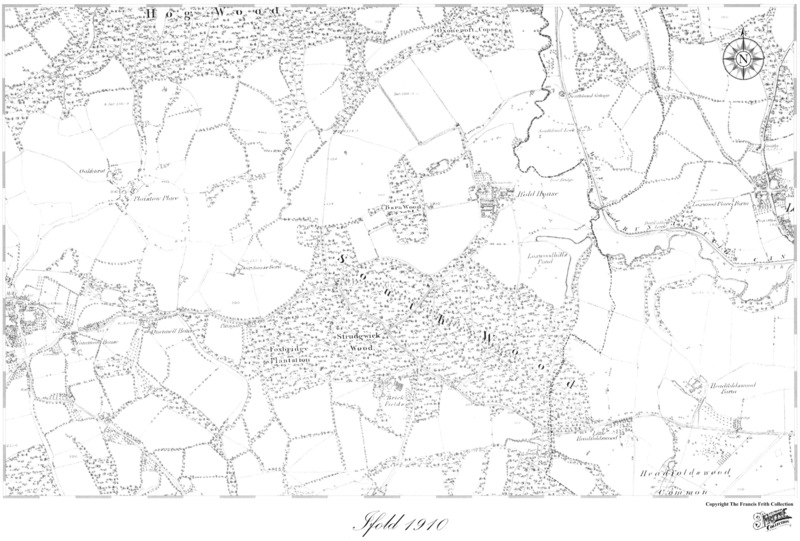 The area to the East and South of the pond (4.37 Hectare) is designated Deciduous Woodland Priority Habitat Inventory for England (Extract from Priority Habitats Inventory – Natural England) and adjoins Ancient and Semi-Natural Woodland. There is habitat conservation significance to the area as migratory geese and ducks annually use the space to nest. Alongside the Public Right of Way (on the perimeter) the landowners have installed a waist height, cleft chestnut paling fence and deliberately maintain the hedge to a height to allow pedestrians access to the views from the public footpath across the field, the beautiful lake and to the ancient woodland beyond; and to maintain the open setting. There is mention of the parkland which encompasses the lake (Loxwoodhills Pond) and footpath in historical documents and literature. Book: Ifold Loxwood & Plaistow Forgotten Border Villages, by C. H. Bayley (1988). PHOTOS: All photos are courtesy of Mr. Phil Colmer unless stated otherwise.